Here are some useful questions to help discover if your web developer has the skills you need for your site. Do you have a degree in IT or related field? Good results in an IT qualification and a few years real world experience are desirable. How long have you been developing websites? Is your strength design or programming? This is a loaded question because if they say both you either have one of the rarest humans on earth or a liar. If they answer Designer then there may be a good chance you end up with a sluggish open source system or its outsourced which can leave you high and dry. You could ask who would be doing the programming of the site? If their strength is programming - ask if you can deal with the programmer directly. If the answer to this is no they may be outsourcing. You could ask who is designing the site - if they say themselves there is a good chance you end up with a non professional site. Can you deal with the designer directly - if not it could be a templated site (there are some good ones) or outsourced. If the designer is outsourced overseas you may strike communication issues. Are they using an open source CMS or programming the site themselves? Ask who they recommend to host the site. Are you able to access the site yourself (not always a good idea). Can you later change to another developer - are there any copyright issues. Do they manage the servers themselves? Is it shared hosting or a private dedicated server? Which country is the server located? Can you talk to support of the host over the phone in normal hours? Are you familiar with SEO (Search Engine Optimisation) and do you incorporate this into your sites? 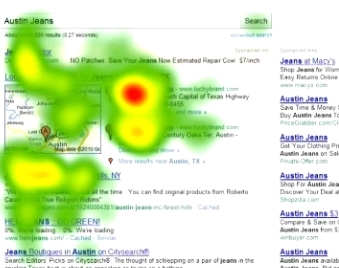 Ask for examples of sites that are at the top of Google and achieving results e.g. sales for the client. Test it out - try logical or generic searches to test whether the sites are working. Ask to see examples of sites similar to the type you are creating. Just because they are young or apparently tech savvy with mobile phones etc. does not necessarily make them a great web developer. Are they available for you to contact during normal daytime hours and if not why not? Try to establish how much maintenance costs a typical client pays - ask to see some invoice examples or records of time spent on sites. Unfortunately too many clients have been burnt and only found out the answers to the above questions after their site either fails or sits in no where land. In the end you need to find someone you are comfortable with and has good answers to most of the questions above.